I have tried another postal service - Parcel Force this time, which is worse than the normal one. It takes a long time to receive and the charging system is appaling. After the 2 weeks of long wait, I have finally received my items ;) The custom charge is more than the normal one too.. £13.50 (handling charge) + 20% VAT! And they have charged me £5 more on VAT! I am going to write a claim form on this. The Sekkisei travel kit. It is from the brand that I love - KOSE. I have heard that this line is very good and I couldn't get hold of any samples everywhere. 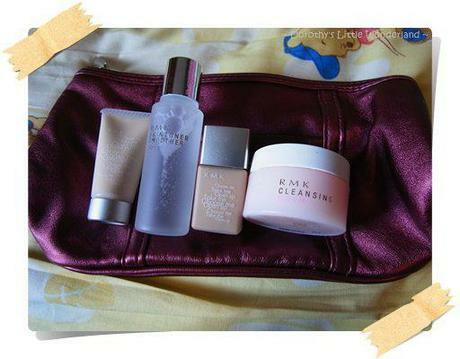 Therefore I buy this set to try out before I buy the normal full sized product ;) The RMK anniversary set. I am so excited. I cannot wait to try the cleansing balm and the foundation. I have tried the cleansing balm form the Selfridges counter and I am in love with the smell!!!!! I will try the base and foundation soon. I really like the fact that the foundation is very light and liquid-y. 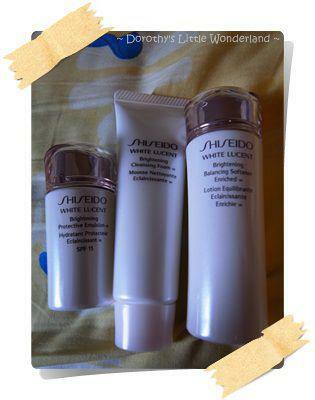 Shiseido White Lucent sample set. I have heard that this is their star products. I need some whitening products during summer because I will be exposing under the sun quite a bit while I am traveling. Whitening will do for removing the dark spots and the imperfection. I am so looking forward to try these products. I buy them all in sample/travelling size because I would like to try more other products in a limited amount of time. 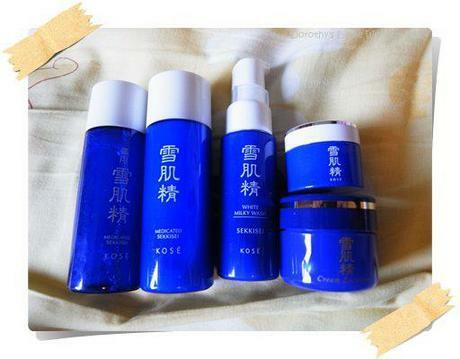 I will update any information about review and how I like the products as soon as I have used them. I used white lucent before but somehow my skin was sensitive to the product but it's probably just me. I do wanna see your review of RMK and sekkisei. Heard a lot of good things about them! What's in my travel utilities bag? 100th followers giveaway winner announcement! A Dupe of Palace of Versailles in Germany? Review: Putting chocolate on your skin? Random: Have you tried cold cup noodles?? ?